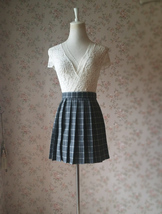 Tea Length Plaid Skirt. Vintage Inspired 70s style Pleated skirt. Women Pleated plaid skirt. This skirt is designed and made because some buyers ever asked for last year. Yes! Every women or girl need a plaid pleated midi skirt,which is always so in almost every year. In autumn and early winter, you can wear it easily,and put your hands in the side pockets. Most importantly, it's unique. We offered classic plaid patterns for choices, and the production time around 7 days. If you need specific requests, please email to us before you place your order. Thanks! * This tea length plaid skirt is made of polyester plaid tantan with punk spirit. * High waist / full pleated. Actually this skirt is needed much more cloth than usual skirt. * All sizes is just to customize for you. * Two layer skirt, with lining. * Center back zip up and If you need a elastic waist, please let us know. 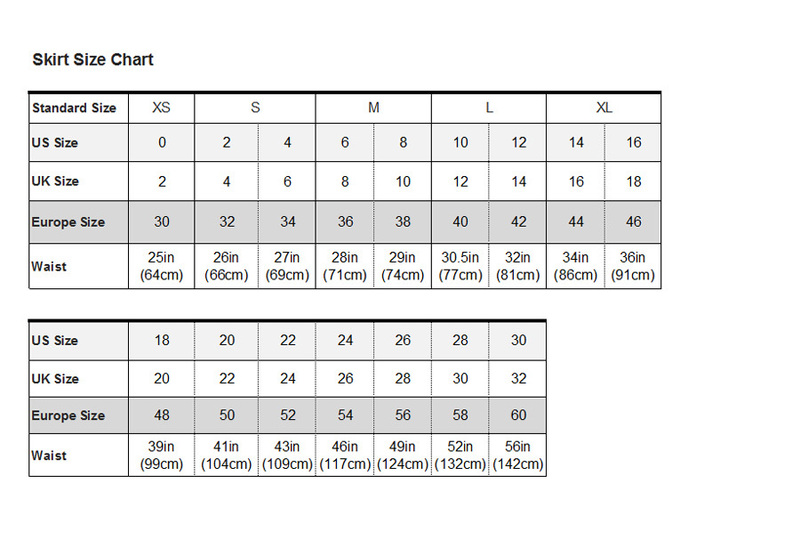 Standard Size, please check the size chart for measurements. Custom Made is available. 6) Standard Length: 72 cm / 28in. Custom Made is available.